The women working the famed copper mines of Chile’s Atacama Desert. Working the famed copper reserves of the Atacama Desert has forever been a man’s domain. But that’s changing. Angen Reinike Luengo, DGM project manager. The arid plateau of the Atacama Desert blankets the northernmost stretches of Chile, hemmed in only by the Andes Mountains to the east and the Pacific Ocean to the west. Its vast expanse is nearly devoid of life, save for the occasional roadside alpaca pack or slow-growing cardon cactus. But the Atacama’s bareness is deceptive, for just below the desert’s silky dunes and its moonscapes of salt and hardened lava sit Chile’s lifeblood—millions of tons of copper reserves. I’ve come to the Atacama to visit Chile’s most important mine: Chuquicamata, known locally as Chuqui, run by the state-owned copper mining company Codelco. Though this century-old open pit copper mine—the largest on Earth—is still responsible for about one-fifth of the company’s total output, its resources have been largely depleted. Dwindling production and the discovery of additional subterranean copper reserves spurred Codelco to start digging deeper, and the company is currently in the throes of a $4.2 billion underground mine development project. 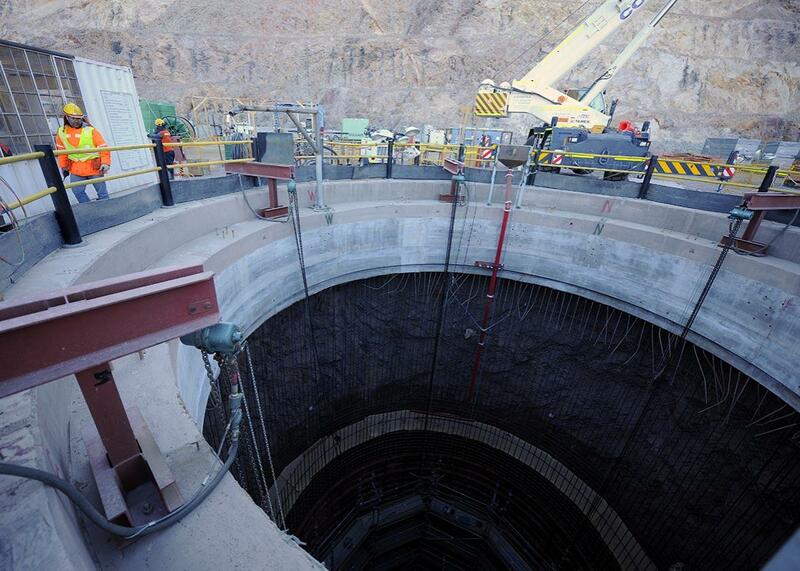 Construction at Chuquicamata is expected to be complete by 2016. But my interest in the mine has less to do with copper, and more to do with the miners themselves. A Chilean friend once told me that there was a long-held belief in the country that were a woman to enter a mine, havoc would surely break loose. Mines were considered female, and thus were only to be entered by men—a woman entering a mine could lead to jealousy and outrage, which, in turn, could result in production losses at best, disaster at worse. Those beliefs are changing. Though Chile’s copper mining industry has seen its fair share of ups and downs over the past few years—the most notable of which was the 2010 collapse and rescue effort that riveted the world inspired the new film The 33—mines becoming angry at the presence of women are not to blame. The 2010 incident took place because of a private mining company’s poor management and a blatant lack of safety precautions, and most financial downfalls are easily attributed to the ever ebbing and flowing global demand for minerals. Currently, women account for around 7.5 percent of the Chile’s mining labor force (although 80 percent work in administrative positions). While their numbers are small, it’s worth noting that the very idea of female miners was virtually unheard of until recently. The decades since Chile’s return to democracy have marked a gradual—but certainly noticeable—shift in attitude about women. Today, Chile has a female president, Michelle Bachelet, and a female mining minister­, Aurora Williams. The government now offers a certification to companies who meet a certain set of criteria with respect to gender equality. Codelco’s Gabriela Mistral mine, where women make up 24 percent of the workforce, has already received the certification. 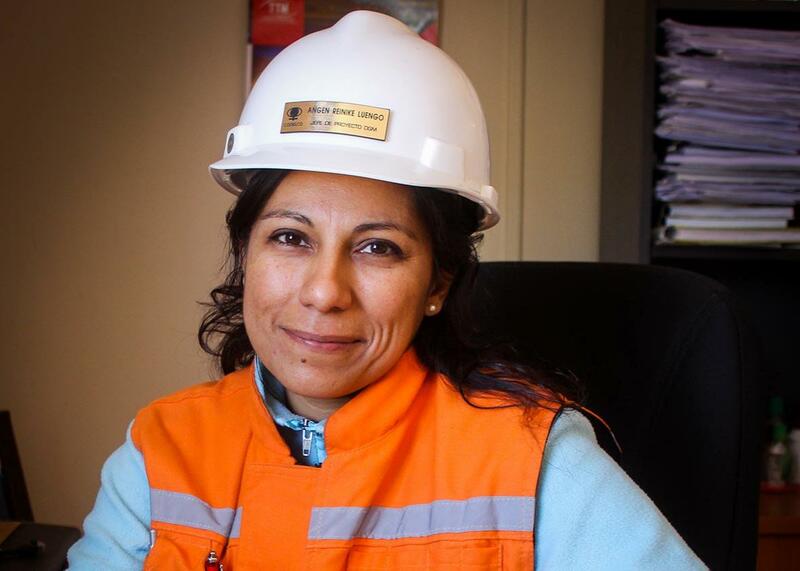 Around 24 percent of employees at Codelco’s Gabriela Mistral are women. In 2014, a team of researchers from the Catholic University of the North in Antofagasta conducted a study, called “Gender barriers in Chilean mining: a strategic management,” in order to better understand what factors might be preventing women from entering the mining industry in larger numbers. Through in-depth interviews with 70 male and female miners in Northern Chile, the researchers found that the lack of women in mining can be attributed to “self‐discrimination of workers themselves, family demands, and male dominance in the field.” In other words, though more women are entering mining than in the past—and despite government and corporate efforts to level the playing field—there are still plenty of hurdles keeping women out of the mines, many of them self-imposed. Those changes are not immediately evident during my two-hour flight from Santiago to Calama, the region’s northernmost major outpost. I don’t spot a single female passenger on the plane, and by the time we arrived I have begun to feel a little out of place, as if I’d stumbled into a barbershop in an evening gown. 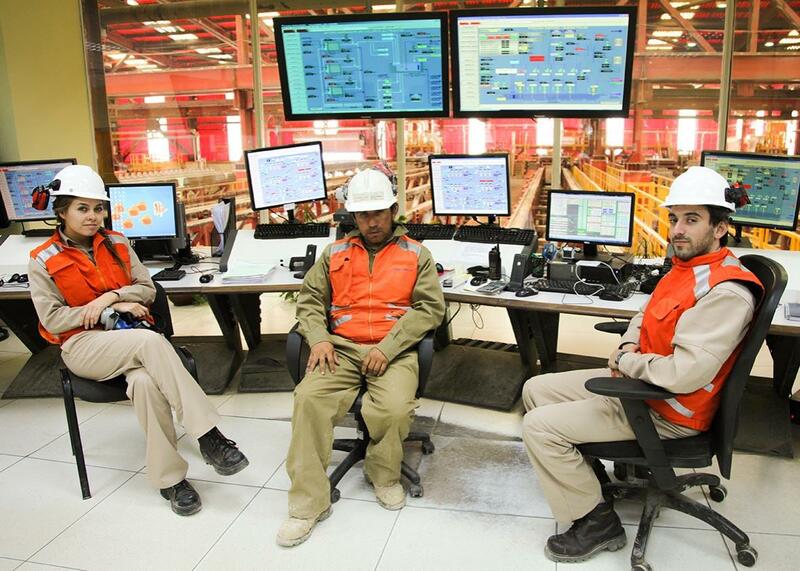 The next morning, I meet Andrea Valdebenito Brown, a Codelco employee who will be acting as my guide to Chuquicamata. Brown grew up in a mining family and though she is not a miner herself the industry still provides her livelihood, though like most women working for Codelco, she works in an office, not in a mine. She explains that while there are female miners, they are still few and far between; in fact, she can’t guarantee that I’ll even get a chance to meet one during my visit. After a brief safety meeting, Brown and I climb into a minivan and make our way down into the entrails of Chuqui’s new, still-under-construction, subterranean mine. The mine is different than I expected. My ideas about mining have been shaped by books and movies, and I was half-prepared to climb down a rickety wooden ladder with a pickax in one hand. Instead, we drive into an enormous tube, twice the height of the average road tunnel and the width of a three-lane freeway. The tunnel is flanked by impasses, most guarded by squat figures in orange safety vests, their faces obscured by cycloptic headlamps, intensely bright in the mine’s darkness. The occasional red light from a piece of equipment occasionally approaches. We wear steel-toed boots and carry our own emergency self-contained breathing apparatuses in case of fire. The further we descend, the bumpier it gets. My ears begin to pop. As my eyes adjust to the light, I’m able to make out numbers on the wall, marking the length of road that we’ve covered since we entered. We make it to the 4,250-meter mark—850 meters below the Earth’s surface—before our driver does a U-turn, pulls over, and motions us to get out of the vehicle. Mining has played a key role in politics, business, and life in the Southern Cone of South America since Incan times. The country’s present-day borders were drawn during the War of the Pacific (1879–83), which was largely driven by mining territory claims. Today, Codelco’s copper mining efforts alone account for nearly one-third of the government’s income, and though the industry has slowed over the past few decades, it is still among the country’s most important industries. But despite mining’s significance, miners have not always been viewed in the highest esteem in Chile. A common slang term for men who sleep with married women, patas negras (“black paws”), refers to the footprints left by coal miners who snuck into marital homes while the husbands were away. Such stereotypes don’t make the task of engaging women in the industry any easier. At Codelco’s El Tiente underground copper mine. There’s a current dearth of people willing and able to work in underground mines—many of Chuqui’s senior-most miners are too far into their careers to consider undergoing new training for subterranean mining, or they simply don’t want to go underground after years working in open pit mines. 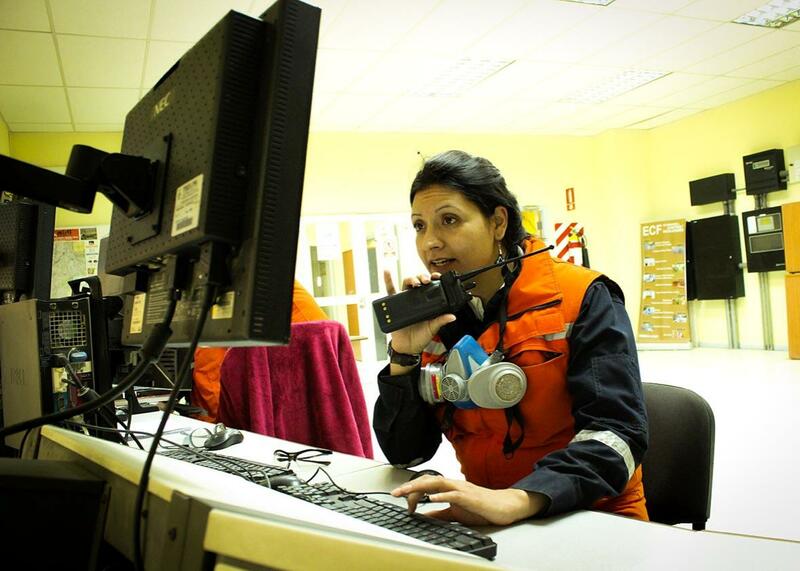 In early 2014, 35 percent of new entrants to Codelco’s graduate traineeship program were women. In the first quarter of 2014, women represented around 8.5 percent of the company’s workforce, but the Chuqui expansion presents the perfect opportunity to increase the male to female ratio further by bringing in new talent. 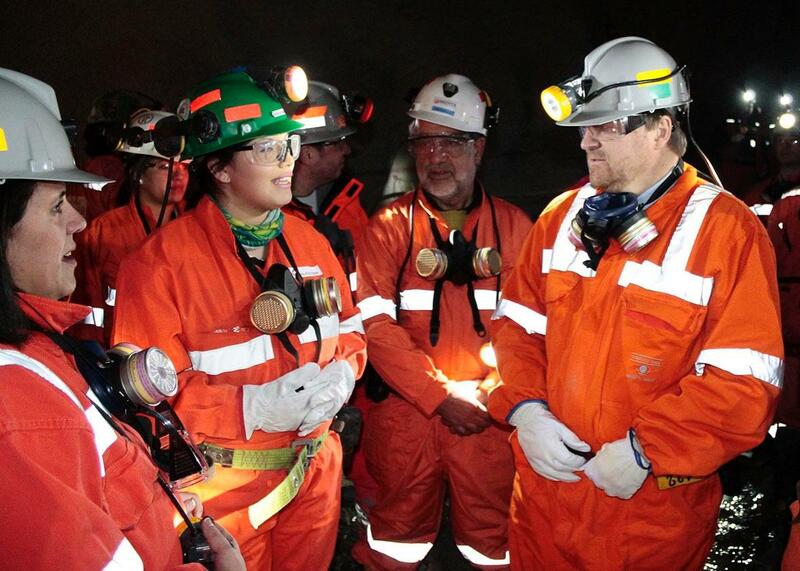 The Gabriela Mistral mine has received NCh3262 certification from the Chilean government in recognition of its efforts to promote gender equality in the workforce. While Codelco has made concerted efforts to integrate more women into its workforce—the company now includes gender equality as part of its company performance evaluations—many believe that the growing number of women interested in mining is simply a reflection of a more egalitarian culture. I meet with Francisca Munoz in a trailer-style office structure more typical of a construction site than a 100-year-old mine. Until a few years ago, there was a 25,000-person-strong village here at Chuqui, but health risks caused by smelter by-products forced Codelco to resettle the entire population, leaving a ghost town behind. 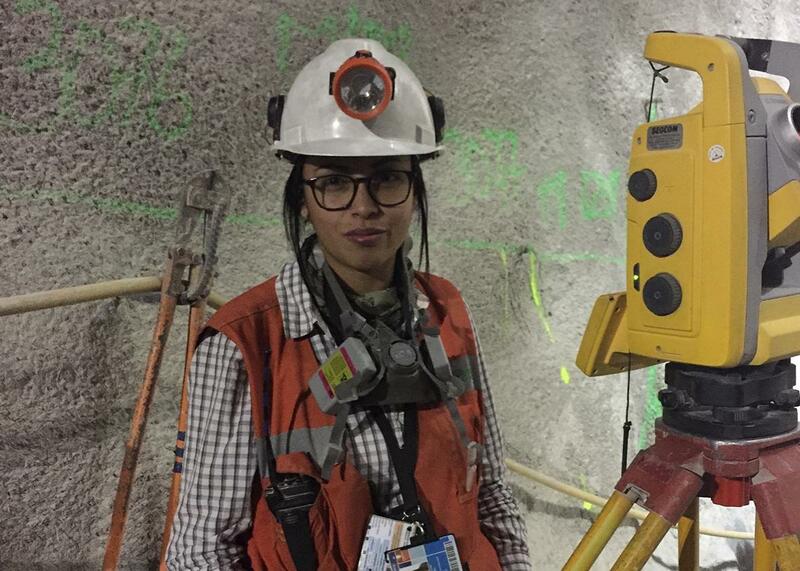 Although she’s barely 25 years old, shy but confident, Munoz is well into her mining career. She began four years ago as a college intern in an underground mine in her hometown of Ovalle. When her boss suddenly quit, she ended up having to pick up the slack, and was consequentially fast-tracked into a professional-level position. Her experience working underground made her a perfect fit for the Chuqui expansion project, which she joined in February. “I work for seven days, 12 hours a day, but then I get a week off,” she tells me. Like many in the industry, she spends her vacation days back in her hometown, visiting her mother, sister, and 5-year-old son. Francisca Munoz at work on Chuqicamata’s underground expansion project. 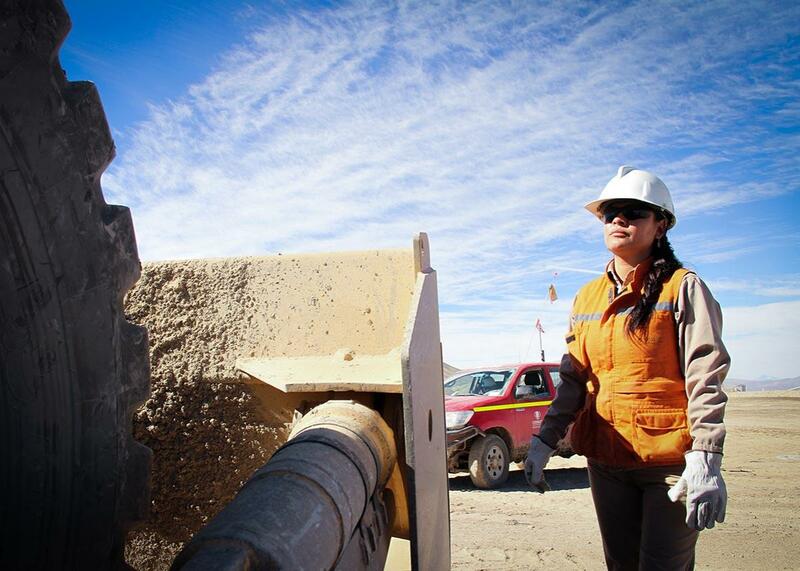 Women make up around 7.5 percent of the mining labor force in Chile.